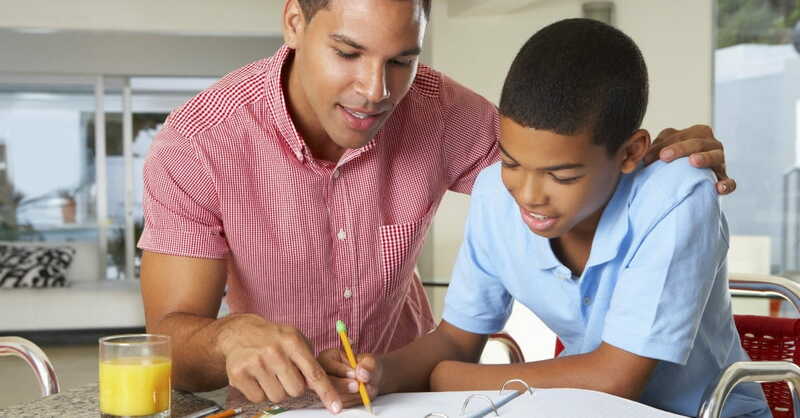 Can I Homeschool as a Single Parent? There is no shame in being a single parent. The circumstances of life are diverse and not at all times pleasant. There are many parents who find themselves alone in the pursuit of homeschooling a child – for a multitude of reasons. But we want you to be assured that it absolutely can be accomplished successfully, and that there are many others in your situation, as well as resources to back you up in your endeavor. The single parent must find the solution to two very important problems: providing financial income and securing their own emotional support. The emotional support is an extremely important aspect, and one that should not be shuffled to the bottom of the pile because it seems less important. You have to be taking care of yourself in order to be the best homeschool parent possible for your child. At times, you will need to put YOU first. So flush away the guilt early. 1. The flexibility afforded by homeschooling. Who says school needs to commence weekday mornings at 9 am? Instruction hours can be completed in the evenings after work and on the weekends. 2. Utilizing any and all resources. This means friends, family members, and neighbors who could help you. Put your pride to the side and be willing to lean upon others at times. Put yourself in their shoes, and realize that you would most certainly help them if THEY needed it, without hesitation. 3. Maintain routine and discipline. While behavior problems are a real possibility in every household – even the “most normal” – this should not discourage single parents from homeschooling. Rules and routines will become commonplace and comforting to your child. Be compassionate to their needs, but also require the respect that you deserve as their parent and teacher. 4. Get Online Support. We’ve compiled a list of online resources for you to utilize in your quest. Connecting with others in similar situations, brainstorming, and simply swapping stories is a very beneficial part of the emotional support needed for a single parent. Single Parent Homeschool. A ministry equipping and encouraging single parents to homeschool. Janet’s Country Home. An uplifting page dedicated to parent’s who find themselves suddenly alone. Personal Testimonies. Read what other parents have to say about their journey. Home Educating Family Association. Read about how to homeschool special needs children when single. If you become disheartened, remember that you are the one person in the world who absolutely has your child’s best interests at heart. The fact that homeschooling is flexible, versatile, and easily adjustable under any circumstances will remain the light to guide you. Jessica Parnell is passionate about homeschooling. A wife, mother and former public high school teacher, Jessica has transferred this passion into her career as Principal of Bridgeway Homeschool Academy. Her passion grows out of a deep desire to see every child reach their God given potential and purpose through faith-based, customized, and flexible homeschooling. With over 25 years of experience helping over 24,000 families to homeschool their way, Jessica is dedicated to helping families understand the freedom that comes with homeschooling and to empowering parents, a child's first teacher, to feel confident in taking control of their child's education.